See January 24th for booklist. 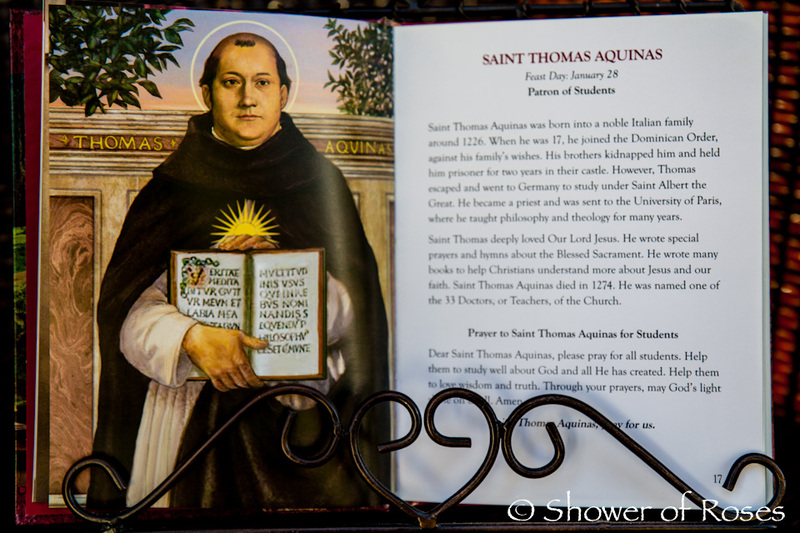 Thank you for writing out a list of the special books that teach our holy faith! God reward your efforts kind woman. I am looking forward to sharing the titles with our church librarian, too. These are just delightful! You are welcome! Thank you for the kind comment! What a great list! One of my sisters used to have the St. Agnes book by M.R. Berardi. I wish that I could find a copy for our collection. May God bless you and your beautiful family! Thanks, Christine! God bless you and your family too! Jessica! Great list as usual and I have some great resources for my little Sebastian Paul. We have some selections already on Sebastian...but I haven't gotten anything on Paul yet...so here I go to look and buy! And as we speak, I am making the Partridge in the Pear tree pie you posted. Our grocery stores were nuts here today! (big storm coming), but we ventured out and got the little bit that we needed for a 12th night party! Kids (and I) can't wait! HUGS for always giving us great resources! I hope you enjoy the pie, Carla, and the Twelfth Night party! We are fighting colds/coughs, but I am still hoping that I can pull it together once again for my family this year... It was so much fun! Erin - We don't have it yet (just a few of the other books in the series that are all great) but there is A Story of Saint Sebastian in the In the Footsteps of the Saints Series by Brother Ernest. Also, now that the Neumann Press books are back in print, Blessed Sebastian and the Oxen and A Story of St. John Vianney are both excellent! (We have both... Blessed Sebastian is based on the story of Blessed Sebastian of Aparicio whose memorial is celebrated in February.) My kids love all the books in the Saints and Friendly Beasts Series. Are you able to get these over there in Australia? Those are excellent! My MIL sent them to the kids for Christmas a couple years ago. Last February we read the St. Bernadette book to go along with our Cocoa Pebble Grotto and hot cocoa! I'm hoping they come out with more for the series. I love all your book lists! Thank you for sharing them with us! You are welcome, Kathy! I have always loved books :) Even though they take time, I really enjoy putting these posts together to share with you all! I've never thought of putting together book collections for the feasts/saints each month. But it's a great idea! I wonder though, are all your books purchased? It's a lot of books to purchase each month. Or do you just purchase a few at a time, and over time eventually have the collection listed? Any tips? Yes, all the books listed in my book posts are books we own, unless it is noted otherwise (you will find occasional library books in past Christmas and Thanksgiving book lists). 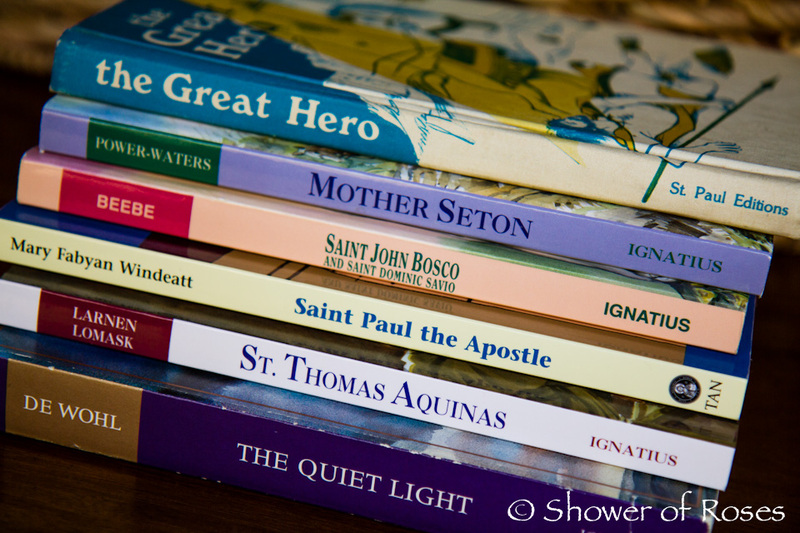 Some are picture books, some are chapter books, and some of the stories are excerpts from collections of saint stories (i.e. 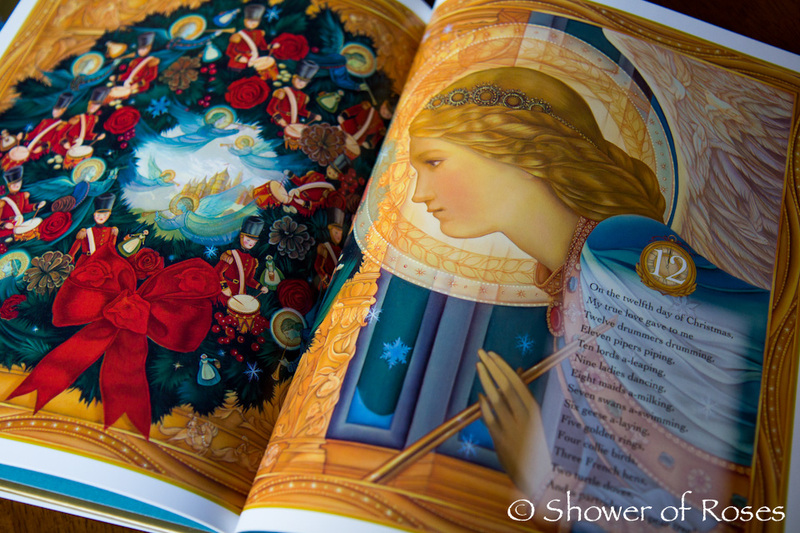 there are many stories taken from Saints and Angels, Once Upon a Time Saints, Picture Book of Saints, etc) . This is not a complete list of all the saints books we own... We also read from Saints for Young People Every Day of the Year (most nights at dinner time) and others as well. Our collection started very small, with mostly Father Lovasik books - which I haven't added to my lists yet - and over the last 14 years I've continued to purchase books for our home. 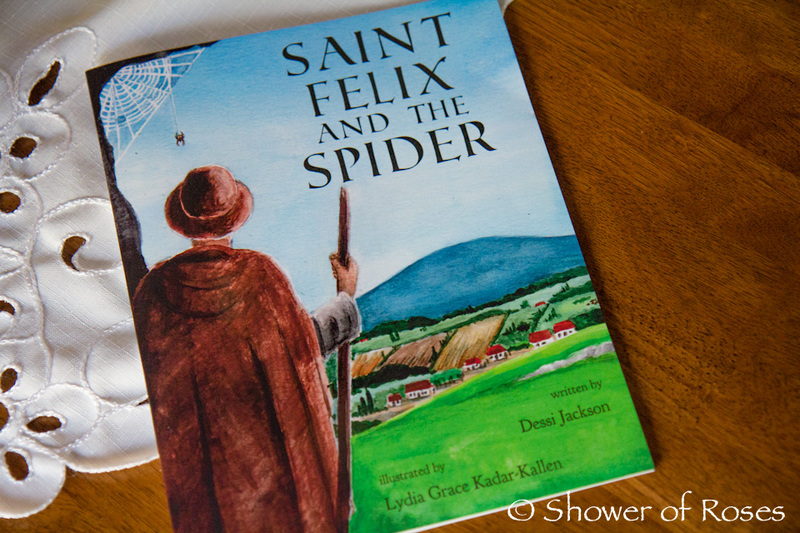 The only books on this list that are new this year are Saint Felix and the Spider (It was just published last November and our 6 year old received it for Christmas!) and a couple of the Mary Fabyan Windeatt books that I purchased with a gift card from TAN! Let's see... Tips... 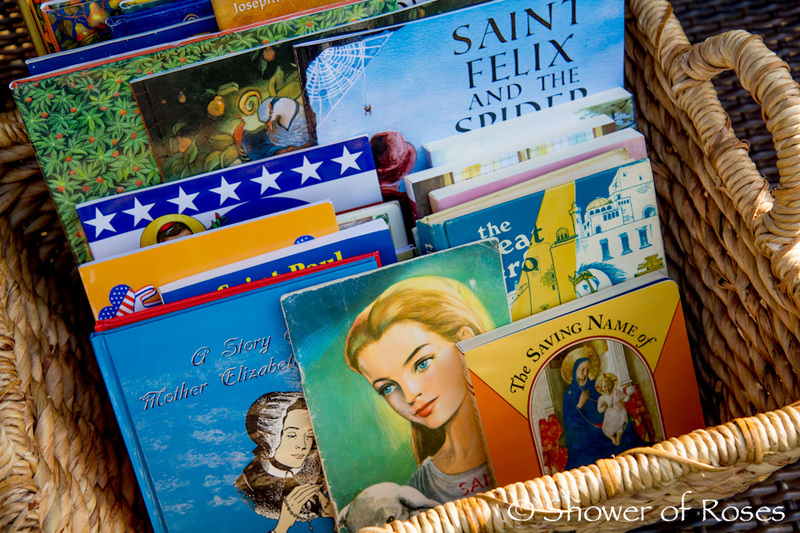 If I was just beginning our collection, I would look through the list and choose a feast day or two that I wanted to teach my children more about this month and buy a couple books for our collection. If I couldn't afford to buy any new books I would either check them out from the library or request the library to purchase them if they are not available locally (our library has a great online form for this purpose and I've used it many times in the past). I always start with the feast days of my children's patron saints, or other saints that share their name. This is a fabulous resource list, Jessica! A piece of work to put together I know, but a blessing to so many in turn! God bless you! 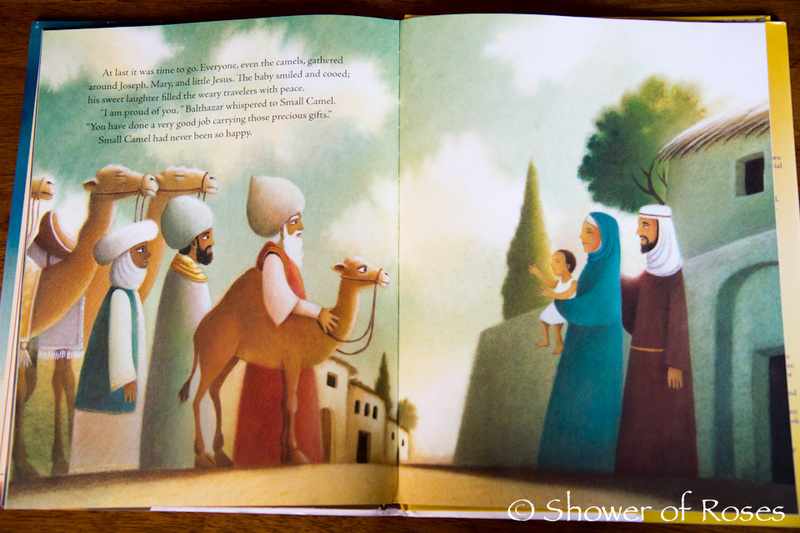 Are your kids reading The Quiet Light or is that for the adults (or a read aloud)? It's probably my favorite de Wohl, but a little, er, intense in parts. Thank you, Kimberlee! I don't think my oldest is quite ready to read the de Wohl books yet.... I sure love them though and couldn't resist including them in my list of Saints books. Our oldest three will each be choosing one or two of the Vision or Windeatt books to read this month. I'm hoping to find the time to re-read The Quiet Light! It has been awhile! Thank you so much for this post. Could you tell me if the book, The Twelve Days of Christmas: The Story Behind a Favorite Christmas Song is accurate and in accord with our Catholic faith? Thank you! Whether or not the legend is true, I've enjoyed sharing it with my children and discussing the symbolism that has been attached to the various days! A number of years ago, before we had this book, we even made a Lap Book on the topic! The Twelve Days of Christmas: The Story Behind a Favorite Christmas Song is published by Zondervan and the bible quotes are from the NIV.... I do wish there was a similar book written and published by a Catholic author. I haven't found anything contrary to the Catholic faith, but there are a couple little things that I would have changed. . . First, at the bottom of the page for the Ten Lords A-Leaping, where it lists a bible quote from Exodus 20:2-17, quoting the ten commandments, I wish they would have listed each commandment on it's own line. There are ten lines total, but the last five commandments are crammed on the last three lines, and the first first two commandments are given the first four lines (with a line each for numbers 3-5). I think it's a little confusing. The only other thing I've noticed that I didn't like was that when it lists The Apostles Creed for the 12 Drummers Drumming it reads "I believe in the Holy Spirit, the holy Christian Church, the communion of saints... instead of "I believe in the Holy Spirit, the holy Catholic Church, the communion of saints..."
Other than those two little complaints I think it's a lovely book and one I plan to keep for our personal collection. Thank you very much for taking your time to respond to my question. God bless you and your lovely family. I have noticed that underneath your comment box it says "thank you for taking the time to comment..." I was wondering how you did that, because we want it for our blog. Thank you. In blogger, click on "Settings" (Near the bottom of Overview, Posts, Pages, Comments, etc.) then click "Posts and Comments." At the bottom of the Posts and Comments screen you will see a box for "Comment Form Message." You can add whatever text you'd like in that box and then save the new settings. Hope that helps! I also had Saint Agnes by M.R. Berardi when I was a child. Maybe you could work your magic by posting some pictures from the book on her feast day to encourage a re-print! I haven't seen a book as beautiful as it and can still vividly remember her story because of it. Thank you, Genevieve! Happy Epiphany to you too! Actually, I do not receive the commission from Amazon is the items are just added to the wish list for future purchase. You would actually need to come back here first and click a link to Amazon before adding any items you'd like to purchase to your shopping cart. The purchases that qualify for commission are those that occur after a customer clicks through a link on my website and then adds an item (of their choice - it doesn't need to be the item they clicked) to the shopping cart... Anything that was in the shopping cart already doesn't qualify). However, if you add the item to your shopping cart, after clicking a link here, you have 89 days to complete the purchase for me to receive commission on that particular item. So, basically, I benefit the most when someone clicks a link from here to Amazon before adding any items to the shopping cart and completing a purchase. Thanks again, to you and everyone else who uses the affiliate links here! It is such a blessing!